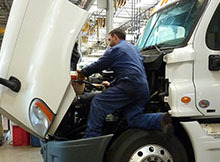 We offer full service repair for heavy trucks, RVs, buses, coaches and trailers. Our expert, factory-certified technicians can rapidly diagnose your vehicle and get you back on the road. Our friendly and professional service team will communicate with you throughout the entire repair process. We service and repair all makes and models. 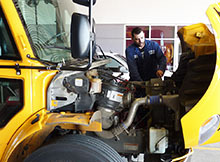 Our technicians are factory-trained in the latest techniques and have years of experience to meet your service needs. 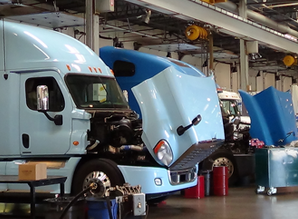 Our service team makes fast, quality service a priority so that you can get back on the road. We use only genuine factory parts from Detroit Diesel, MTU, Mercedes and Allison. More than 80% of U.S. communities depend solely on trucks to deliver their goods and commodities. Our expert team can service your brakes, differentials, standard transmissions and rear end to get you back on the road as fast as possible, with a quick, high quality, reliable repair. Vehicles are now reliant on technology, and you need a service provider who is familiar with the software that runs each system. 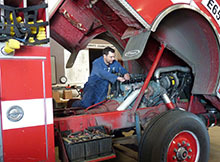 Our service technicians can complete computer diagnostics for Detroit Diesel, Allison and Mercedes engines. 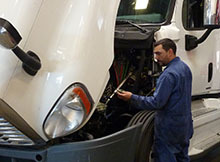 We also offer full Department of Transportation and vehicle inspections, as well as CSA 2010 maintenance. Whether you are dealing with blue smoke, low power or shifting failures, you can trust the knowledge and experience our technicians have. 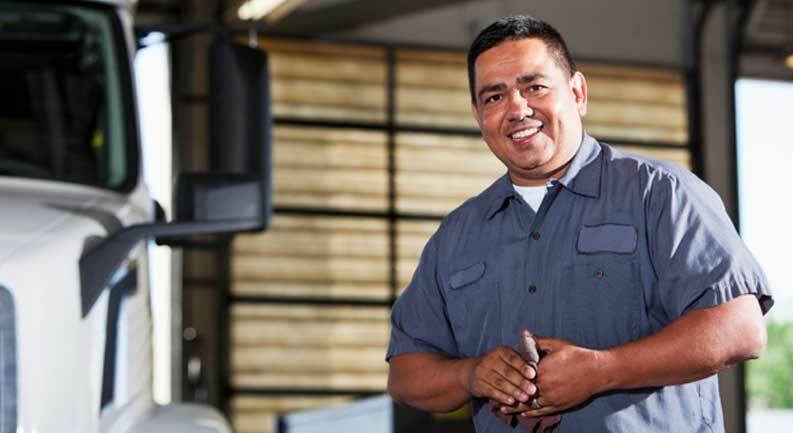 We keep your vehicle running strong with expert engine and drivetrain service. Equipment emergencies can happen 24/7 and every hour of downtime is dollars lost. 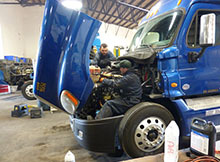 You can rely on our team to assist with your service needs both inside the shop and out on the road. Looking for a new or remanufactured engine? We can repower your vehicle to give it years of additional life, saving you the cost of purchasing a new chassis and countless hours in downtime. With long hours on the road, driver comfort is a huge concern and can have a major impact on performance. Our trained technicians can service your AC to help keep you cool and comfortable while on the road. Our dynamometer allows us to simulate real road conditions in a controlled environment, allowing us to test your truck for peak performance, without leaving the shop. 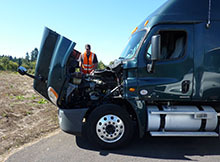 Our team offers truck dyno testing, engine dyno testing and transmission dyno testing. Pacific Power Group maintains a large inventory of heavy duty truck parts to keep your business moving. Our sophisticated inventory management system ensures we always have the part you need. With our large $6+ million inventory and dedicated Parts staff we can minimize your downtime and maximize your productivity. We also offer scheduled business to business delivery.